Gigi Wang is a Happy Farm Board Advisor. She is a former Chairman and President of MIT/Stanford Venture Laboratory and managing partner of MG-Team international consulting company, which is specialized in strategic management and business development. Gigi has got huge international experience in marketing, sales, strategic development of telecommunication companies and organizations that develop mobile and web-services. 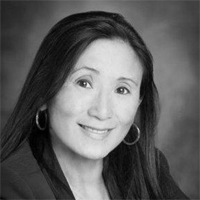 She is a founder and former CEO of AsiaQuest that provides marketing support to the companies penetrating Asian markets. Gigi has got her bachelor degree at Stanford University and MBA degree at Berkley Business School.